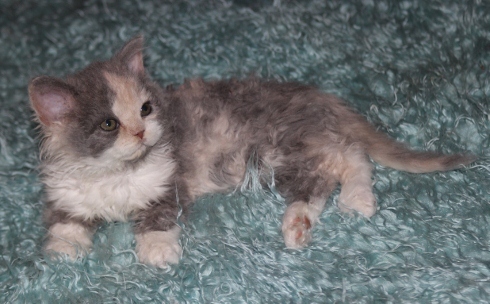 Curl In Many Colors / Jeanie in her new home. 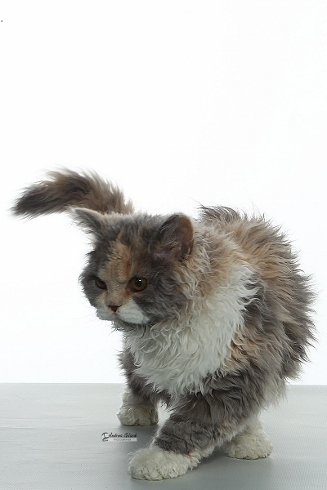 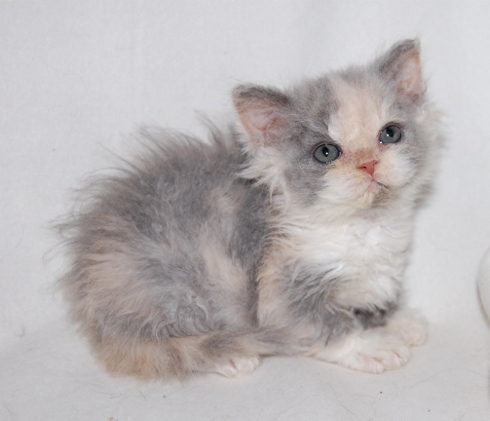 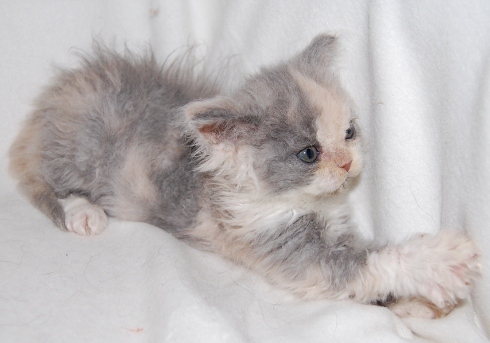 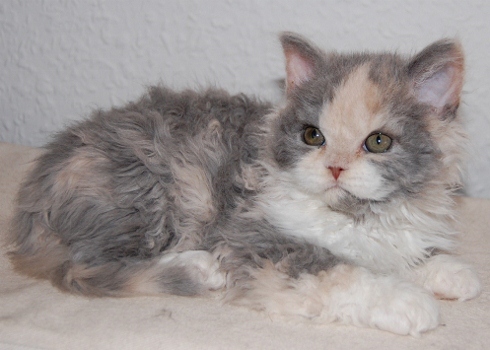 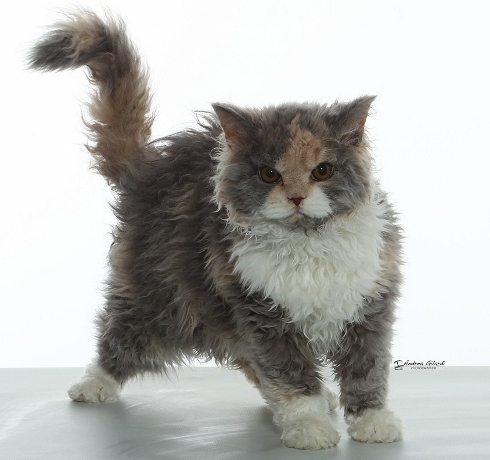 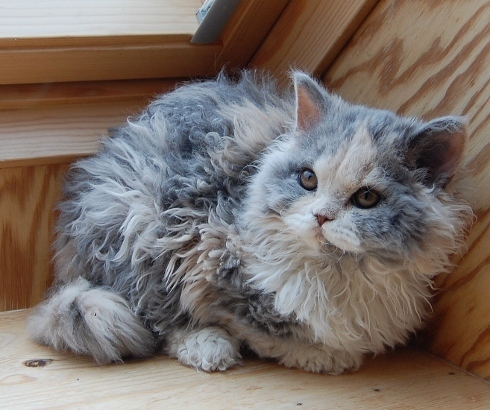 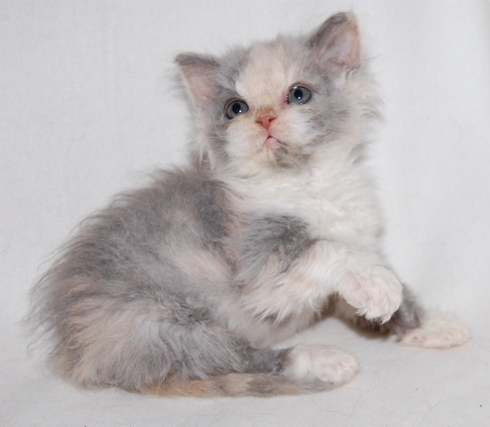 Comments: Very exiting and colorful Selkirk Rex Longhair girl. 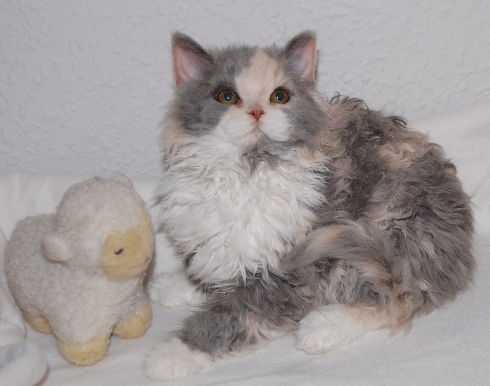 SilverdustHoly Birma and Selkirk Rex.